We design and develop mobile and web applications based on Microsoft .NET platform. We use the .NET Framework to develop desktop, web, and mobile apps. We are proven experts in ASP.NET MVC: lightweight, highly testable framework, integrated with all existing ASP.NET features and much more. Our expert consultants will guide your application development using best practices and field tested expertise. We can help you with ASP.NET development and deployment processes. Our company delivers a full range of custom .NET solutions for different business domains such as recruiting, accounting, construction, banking, healthcare, human resources, online media, photography, wedding industry and others. We use all the advantages of the Microsoft platform and are able to create multifunctional services-oriented, workflow-enabled and data management applications. If you are interested to check the quality of our work, please be free to contact us and we will create a free Store4 demo account for your company. 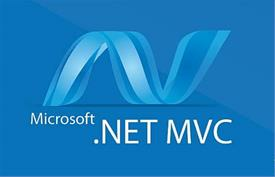 ASP.NET MVC is the next generation of the proven ASP.NET technology platform from Microsoft. It is a web application framework that implements the model-view-controller (MVC) pattern that gives ASP.NET developers powerful methods to build dynamic websites. In addition, ASP.NET MVC application development process and brand new HTML5 and CSS3 technology allows us to easily implement responsive web design, which have become very important for businesses in recent years.